How do galaxies maintain their spiral or elliptical shapes? The motion of the stars and gas in the galaxies determines how galaxies maintain their shapes. 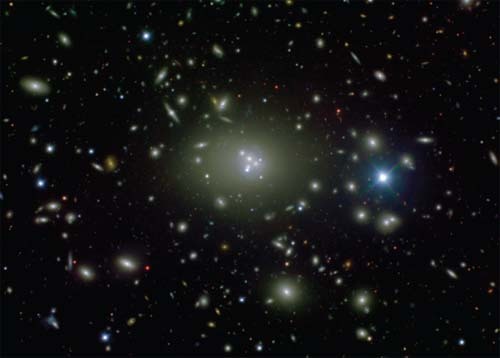 In elliptical galaxies, the stars must move in random directions in all kinds of differently shaped orbits, like a swarm of bees buzzing around a central point. In spiral galaxies, the stars must revolve in nearly circular, stable orbits around a single point and are in the shape of a thin, orderly disk. If that orderly revolution is disrupted—for example, by a collision from another galaxy—then the disk shape will be disrupted as well. It could be permanently destroyed, to be replaced by a chaotic ellipsoidal swarm.